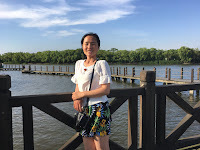 Sukun Feng received her Ph.D. at the School of Public Administration, Jilin University, in July 2011, and has since worked at Nanjing Audit University. Dr. Feng is an international visiting scholar at the Humphrey School between June-December 2018, hosted by Associate Professor Zhirong (Jerry) Zhao. Her research concerns local government fiscal transparency and governance. Now she focuses on mid-level governments (such as prefecture-level city, county-level city and district ) fiscal transparency in Jiangsu province. The fiscal transparency was based on financial final report issued on one Jiangsu financial information website. You can find her in cube No.56, HHH second floor.